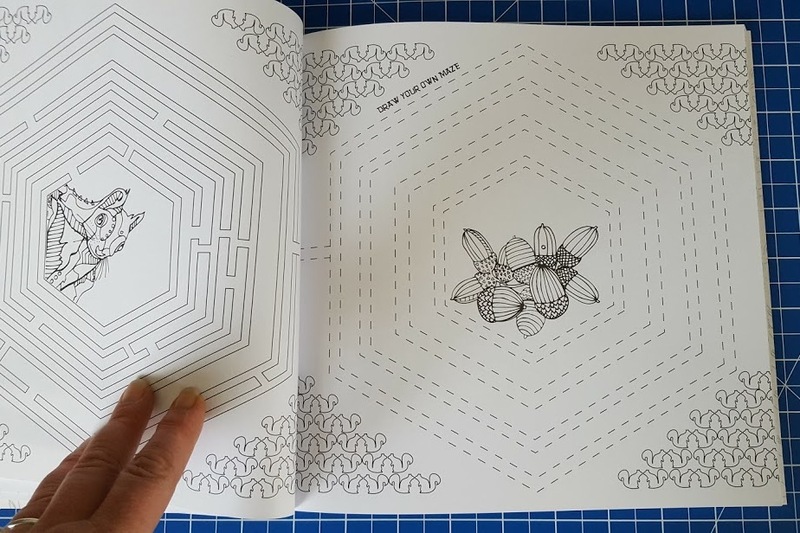 The Unwind In The Wilds Colouring Book is printed on artist quality acid-free 150gsm paper. 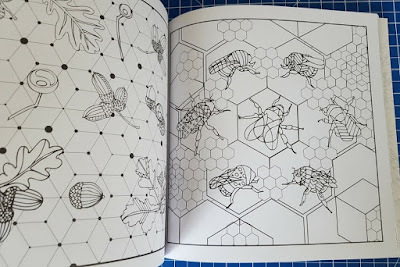 A few of the almost 90 pages have added activities, and there are hidden collections for you to find through the book. 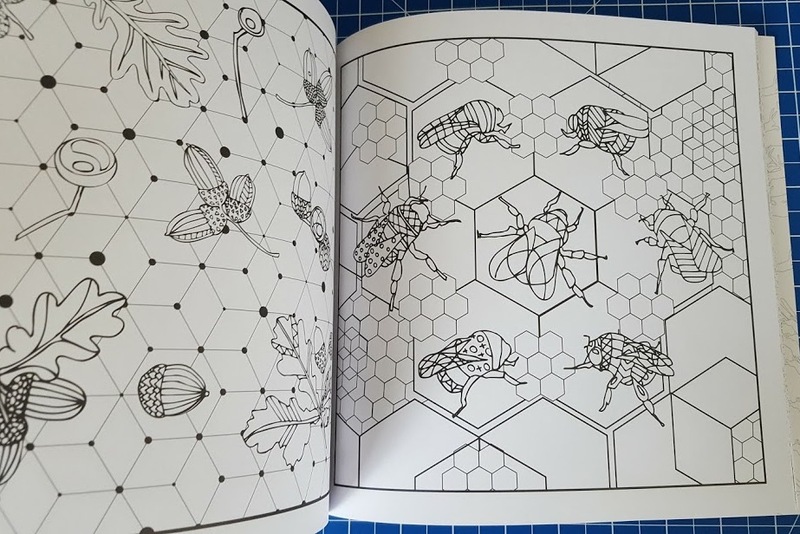 As you'd hope, there are lots of drawings to colour, including plenty you have to complete too, with some really intricate ones towards the back. If you have forgotten everything you learned in school art class then don't worry, there are tips and techniques on how to use colouring pencils, as well as layering and blending colour, so you can get the most out of your colouring book. 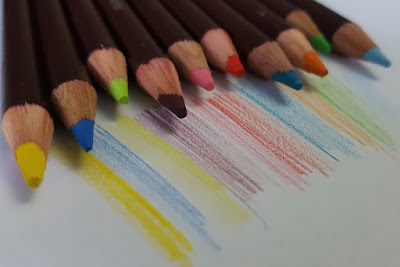 Included is a pack of 10 Derwent Coloursoft Pencils. 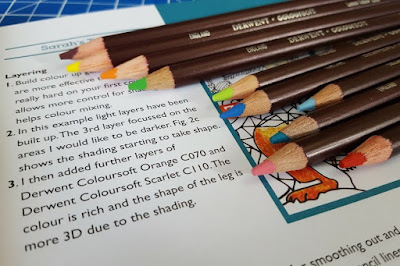 They are very soft, and great for blending colours, so you can create many more shades. 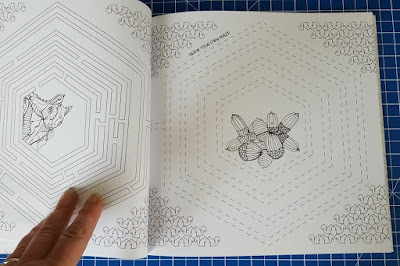 I had a little try and they flow really nicely on the page, you barely have to apply any pressure. 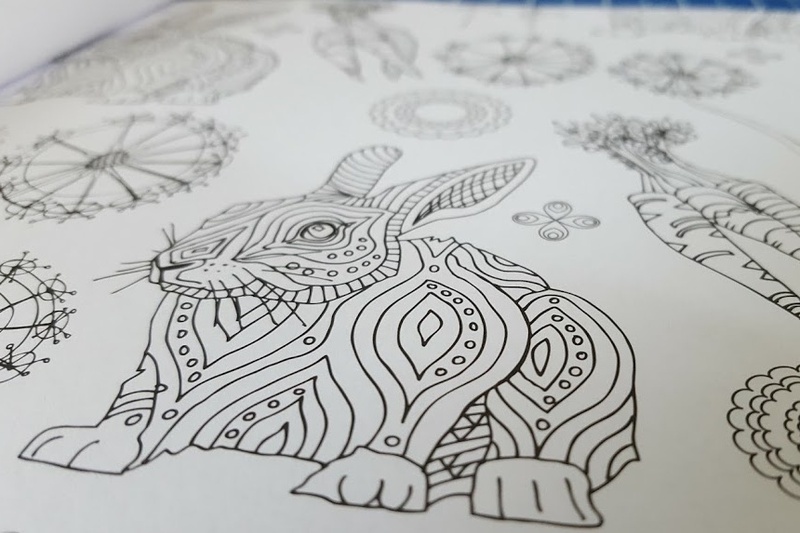 The Derwent Unwind In The Wilds Colouring Book And Pencils Set has an rrp of £19.99. All Derwent products are available to buy via the Derwent website shop, or from good art suppliers. 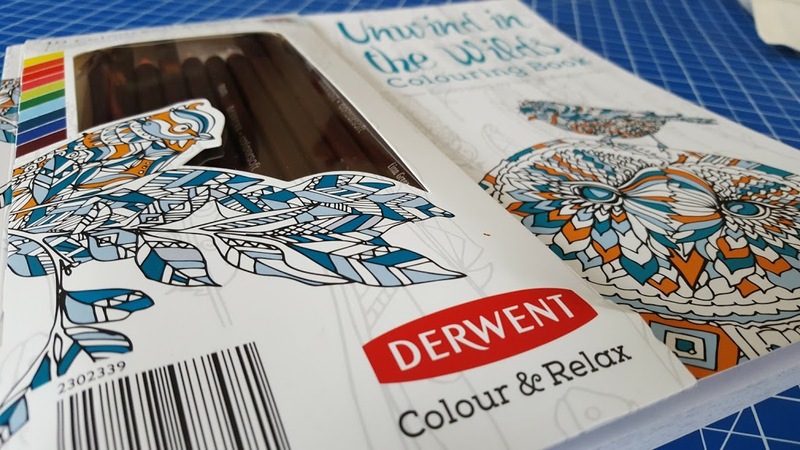 Derwent are giving one of my readers the Unwind In The Wilds Colouring Book And Pencils Set as a prize in my Christmas Present Giveaways. Entry to the giveaway is by Gleam form below, open to UK entrants only and it will end at midnight Sunday 4th December. I would paint the statue of liberty, goodness knows that woman needs a new outfit! Windsor castle. Would make it look regal, traditional Christmas. Looks grey in winter and needs a bit of sparkle! I'd paint London Bridge in festive red and gold colours to cheer the delayed commuters up. I'd pick The London Eye and paint white and silver snowflakes on it. It would look so pretty. I'd paint Big Ben so it looked like a giant Christmas tree. I would paint the eiffel tower covered in fairy lights with a star on top. What a good question, I am a big Disney fan so I would pick the Disney castle, I would paint it to look like snow all on it and a snowman shaped like Mickey in front of it. I'd colour Ayers Rock to make it look like a giant present! Buckingham Palace, complete with pretty lights! I'd draw the Angel of the North and coulour her white and stick sequines on her dress and white feathers on her wings! I think I would choose the empire state building and make it all the colours of the rainbow, to brighten up the USA! I would colour Stonehenge white and decorate it with silver lights and stars. I think I would colour in the night sky including the moon and stars and nearby planets, but all different colours so pretty! Not strictly a monument but I'd make it look pretty good! The Sagrada Familia - Barcelona's famous landmark - There is so much to look at it would be interesting colouring it in. Decorate big ben all christmassy! I'd paint Buckingham Palace like a giant advent calendar with the windows acting as doors. I would colour the statue of liberty and give her a beautiful emerald green dress and a gorgeous rose gold crown :) I would brighten up her life! Stonehenge could do with a bit of colour, it would have to be temporary though. i would colour the Angel of the north with tinsel halo and glitter wings. I would love to paint Stowe House in whimsical colours to brighten its mood. The Statue of Liberty. I'd dressed her like a snowman, with a scarf, she looks cold out there all on her own! The Tower of London needs a bit of colouring - red and purple, I think!!! 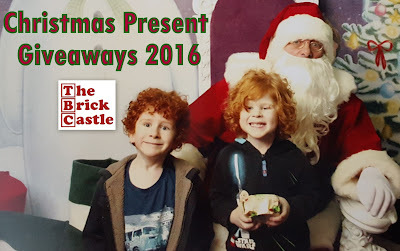 I would paint the London eye carriages red, gold and green with robins, holly and snowmen on. I think Edinburgh Castle could do with cheering up, with some red tartan patterns and gold tinsel. I'd love to paint the O2 Arena - lots of white canvas! I'd paint the white house with a rainbow in protest. I colour in London bridge, make it all pastel coloured. I'd paint number 10 Downing Street with EU flags. the houses of parliment covered in lights! I'd choose my local church, the Boston Stump because the architecture is fantastic and it could be coloured to emphasise the best bits! I would love to alter Big Ben. I would have a bow with a holly Wreath just below the clock face. Id put an angels halo surrounding the top. Twinkle lights coloured down eacheck side. Painting the whole thing green with red lines accenting the normal vertical brickwork. The bottom would have presents drawn around with a nativity scene shown at the all around the line just above the present line. Sorry I know it's detailed but my imagination runs riot. I would choose Buckingham Palace....well I would be doing a public duty lol. I'd draw Antony Gormley's "Another place" and put Christmas jumpers (& trousers!) on all those naked men. I would draw on the eiffel tower. I would paint the Statue of liberty. I would put some color on her. The World Trade Centre (The new one). Most amazing place I have ever been, completely haunting and I took in every inch of the building and memorial fountains. I'd paint big ben red & green! It would be Buck House and I would give it a good scrub then paint it cream. I would also plant some trees at the front. It's an incredibly unattractive building. I would draw a Santa suit on the Statue of Liberty! I'd colour Mount Rushmore a rainbow. Big Ben, and I'd go for silver and gold to make him sparkle for Christmas. It would have to be 'The Gherkin' for me. I'd colour each one of those diamond shapes alternate red, green and gold. It would look wonderfully Christmassy. I would paint The Shard green, with lights, tinsel and baubles, just like a Christmas tree. I would brighten up Stonehenge with a mr blobby inspired paint scheme! I would colour the Angel of the north in sparkly gold spray paint. I would decorate the Kelpies in Falkirk with bows around their necks and Christmas bobble hats. 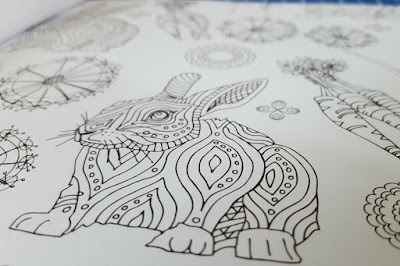 I would like to colour in Big Ben and make it psychedelic!